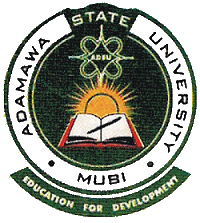 Adamawa State University, Mubi [ADSU] Revised Academic Calendar for Second Semester 2017/2018 and Approved 2018/2019 First and Second Semester Academic Session. This is to inform the public especially new and returning students of Adamawa State University (ADSU) has released the revised calendar for completion of the remaining second Semester 2017/2018 and approved 2018/2019 first and second semester academic session. ix. Resumption of New Session (2019/2020 Session) - 10th March, 2020.